WASHINGTON -- The US Court of Federal Claim's 104-page opinion in the Palantir lawsuit against the US Army sends the service back to do a more thorough analysis of commercially available options for its intelligence analysis framework, but it does not define exactly how the Army should conduct the analysis or what would be considered a satisfactory level of market research. This essentially leaves the ball in the Army's court despite losing the lawsuit brought against it. The question remains as to whether the service will seek true commercial partnership or do a bare minimum of due diligence before moving forward, one source close to the issue told Defense News. 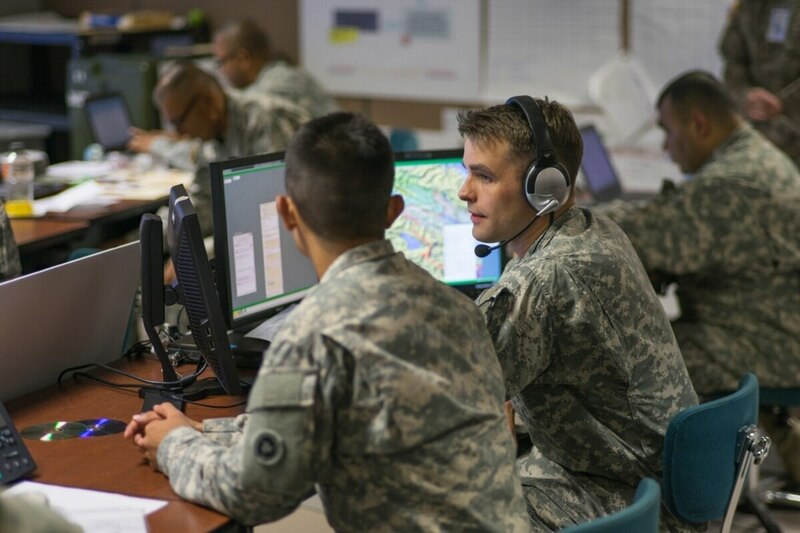 The Army's track record in defining commercial products and conducting analysis of such items has been criticized in the past, particularly after the service submitted what was said to be an incomplete report to Congress presenting market research results for its intelligence analysis system -- the Distributed Common Ground System-Army. And the service hasn't indicated whether it plans to appeal the court's decision or move forward with a more earnest evaluation of commercial technology. When asked what the Army may be considering, service spokesman Dov Schwartz said in an email: "The Army is still in the process of a detailed review of the formal opinion." The Army has until January 7 to file an appeal with the court. Judge Marian Blank Horn’s redacted opinion, released to the public last week, leaves the process for following the law open: "Just as the court will not second-guess the program requirements of the Army, the court will not dictate to the Army specifics of how to conduct a proper commercial availability determination." Palantir filed a bid protest in the court against the Army June 30 for issuing what it says was an unlawful procurement solicitation for the service’s next iteration of DCGS-A that shuts the company’s commercial offering out of the competition despite repeated attempts to show the Army what it had to offer. The protest -- filed through Palantir’s lawyers at Boies, Schiller & Flexner, LLP -- argues that the lawsuit was necessary because the Army should be stopped from moving forward on an unlawful and risk-prone software development project that would reinvent the wheel at a very high price. Typically it is not up to the court to determine what a government agency needs for operations, but, as Blank Horn states, the Army still should have followed the Federal Acquisition Streamlining Act of 1994, meant to give commercially available products a fair opportunity to be demonstrated and considered to meet military requirements. Palantir also attempted to prove in court that the Army had acted with bias and in bad faith -- purposefully keeping Palantir out of the mix and spreading false information about the company’s product. At the time of the lawsuit’s filing, the Army was nearing a contract award that would set up a lead integrator to build the developmental framework of DCGS-A’s next iteration. The judge determined there was not the level of evidence required -- a relatively high threshold in this case -- to decide if the Army acted in bad faith or used bias in deciding its procurement path. But the Army’s contracting practice was flawed enough that Palantir won without needing to prove bad faith and bias existed. The judge, however, did express a level of skepticism over the honesty of the now-retired Army G-2 intelligence chief Lt. Gen. Mary Legere’s testimony. "Given the failures to properly conduct an analysis … and reach a considered, commercial availability determination, as well as the unfortunate conduct of some of the Army personnel reflected in the Administrative Record, it would be wise for the Army to seriously consider reviewing the commercially available products of Palantir, or any other potential offeror, before concluding that no commercially available product can meet the Army’s requirement," Blank Horn writes. The judge ordered the Army not to proceed with its near-term plan to award a contract to a lead developer, essentially blocking the program's planned path forward.